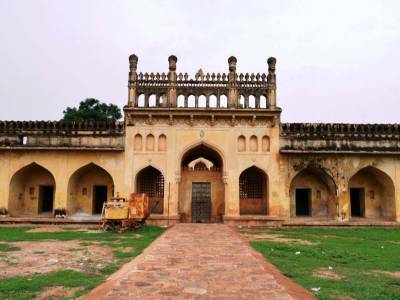 The Gandikota fort gets its name from its place of location, Gandikota village, situated on the banks of the Pennar River in the Kadapa district of Andhra Pradesh. Once one of the most prominent military outpoints of the Pemmasani dynasty, a powerful clan of Telugu warrior kings, the fort was built by Kapa Raja in 1123 and a gorge formed between the surrounding Erramala range of hills and the river Pennar flowing at the foothills, forms a natural defence from approaching armies by forming a natural moat around the Gandikota fort thereby reducing its width to a mere three hundred feet. All this safely hidden under a canopy of thick forests and vegetation with towering trees of deodhar and birch providing the best natural camouflage possible for any military outpost. At present, the surroundings are still thickly vegetated and natural habitat to a wide array of wildlife as well as rich in natural resources. 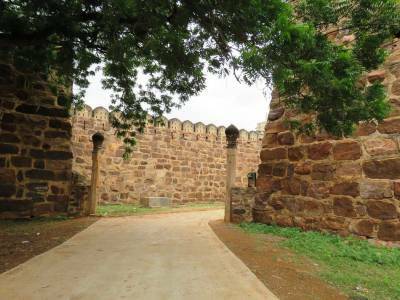 Regional Telugu Mythology and literature record many legends of valour and bravery associated with the Gandikota fort including the mention of a very famous Telugu poet Vemana who is said to have composed one of his famous compositions during his stay in Gandikota. A walk inside the Gandikota fort still reveals the extent of grandeur and architectural marvel that this era was subject to at its peak. Remnants of the ruins of the once glorious military outpost can still be witness of the planned and organized segregation of the interior area into several distinct operational areas such a granary, a massive area dedicated to a pigeon coop for mass raising of pigeons, a water reservoir that almost seems natural and never runs dry which is said to be connecting to various other outlets in the vast fort premises serving not only as a channel of irrigation but also personal water consumption and conservation. Some boulders with legible inscriptions still remain to fill the void in the picture of the present ruins of what once it used to be. 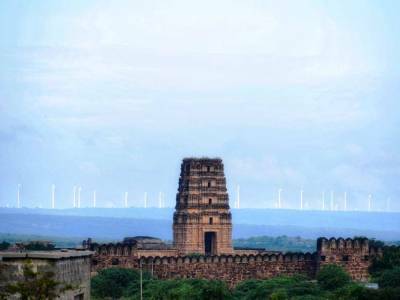 Visited Gandikota recently and found it a really beautiful place. 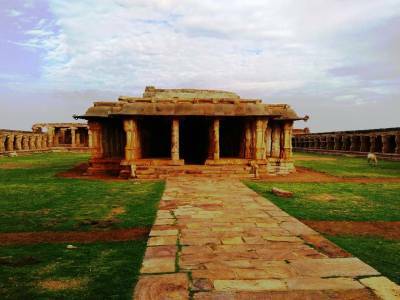 There are lots of attractive feature of this destination like 2 temples, mosque, gorge view, Jail etc. I bet you wouldn’t like to miss any one of them. 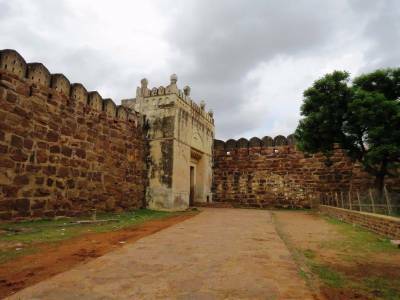 Night stay options are available..
Get quick answers from travelers who visit to Gandikota Fort.